She will get her shine on with this classically beautiful engagement mounting from Ritani! 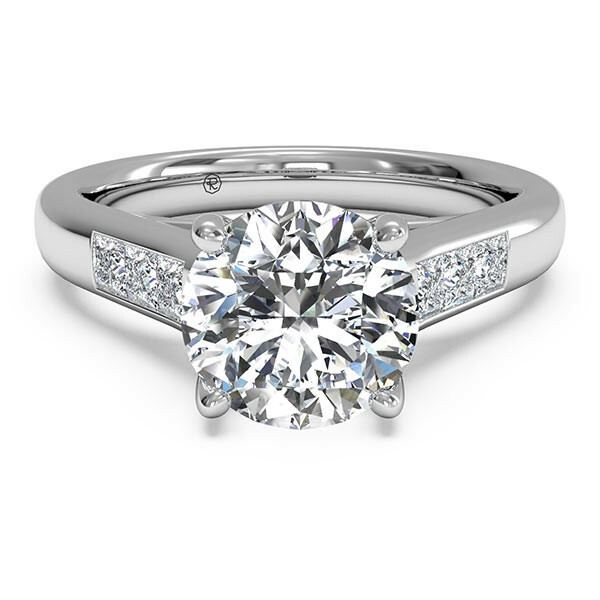 Crafted in 14kt white gold, the piece awaits your round diamond solitaire for the channel-set band. Tulip side detailing adds visual appeal and elegance. The setting is also available in 18kt white, yellow and rose gold, or platinum finishes. This Ritani engagement mounting is classically beautiful.